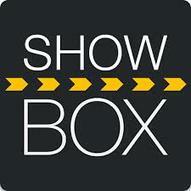 SHOWBOX APP UPDATE Will allow you to watch Movies and TV shows free on your GoGo Stick. Aptoid app Will allow you to watch and load great free Apps on your GoGo Stick. From your GoGo Stick, simply click on to this app logo here and app will start to download. After download is completed, Follow these steps: 1) Go to Explorer App on your app page 2) Select Internal Flash 3) Select Download 4) Select Aptoid APK file on the right. We recommend this app for transferring files from your GoGo stick to a SD card that you place inside your GoGo stick. It is similar to the Explorer app but we found that it works better for transfering files. ﻿From your GoGo Stick, simply click on to this app logo here and app will start to download. After download is completed, Go to your﻿ Download app﻿ and open. 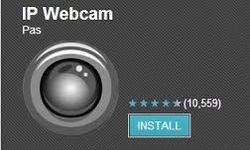 Simply install app on to GoGo stick and try out Skype. Download this app to keep your Cache clear. It allows you to easily clean the cache memory of the application automatically. This Helps your GoGo to run smoother. Auto cleanup at the start of the application. It is also possible to clean by starting the app. Non-automatic. You can boot from the widget. Use Ookla Speed test for easy, one-tap internet connection testing in under 30 seconds—accurate anywhere thanks to their global network.